Join us on the morning of Friday, January 26th, 2018 for an insightful glimpse into the future of marketing – during our annual Marketing Agency Panel: INsights & OUTlooks For 2018. With the explosive growth of on-demand marketing technologies, readily available data optimization services, and the reinvention of the agency model, along with numerous other trends and ‘next big things’ , there are so many options now available to today’s marketer. We will be addressing that, and more, during the INsights & OUTlooks For 2018 panel discussion – featuring leading agencies from both the local market AND south of the border. In addition to each agency panelist sharing a brief, yet informative, overview on the specific area that they feel is the future of marketing, they will collectively discuss the areas to watch and the strategies to incorporate in 2018, and beyond. This year’s presenters will include agencies that focus on highly relevant niche services AND some that were not even considered as agencies, just a few short years ago. Don’t miss out on your opportunity to hear what our highly regarded industry leaders have to share; book your space today. Though the Early Bird savings are, technically, available until January 14th, last year’s Marketing Agency Panel was a SELL OUT. Take advantage of the early-bird savings — which end January 14th, 2018.
years of brand and campaign planning experience. Starting at the adidas Headquarters in Germany, planning global brand strategies and campaigns across the complete communications mix. 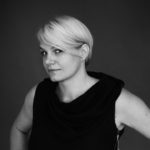 Fitch London, consulting in South Africa, and a 7-year tenure as VP, Director of Strategy at Cossette. 3 years ago, Ute and Nick Richards, her creative counterpart, founded Will Creative, in response to the industry calling out for agility and purposeful brand connection. Today, Will is a 20 strong team with a client list that includes Royal Roads University, BCLC, lululemon, Steve Nash Fitness Clubs, Nature’s Path, HSBC Rugby Sevens, Canada Games. have to set aside for Meghan Markle. Some things never change. Andrew grew up in traditional advertising, then quickly saw where the world was moving and became an early advocate of the digital space. After having established one of the largest, most successful digital/CRM agencies in North America (Proximity BBDO), Andrew joined The&Partnership in 2014 as North American CEO and quickly put his stamp on building the agency of the future. 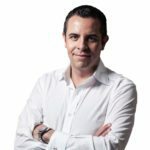 Since launching The&Partnership in North America he has attracted marketers including Credit Suisse, CBRE, Canadian telecommunications giant TELUS, The Wall Street Journal and Diageo. All are global companies who had their choice of agencies but were attracted to The&Partnership’s media-agnostic, truly collaborative way of creating client growth. Andrew’s ability to navigate the intersection of brand and digital has positioned him as a leading advisor to some of the world’s most prominent brands, including GE, Visa, P&G, HP, Mars, Campbell’s and BlackBerry. Andeen is Vice President and Partner of Wasserman + Partners. 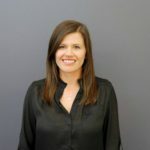 She has worked to develop the Connections team at Wasserman that includes all things media, including traditional and non-traditional media, digital planning and buying, social media strategies, content integration and partnerships. 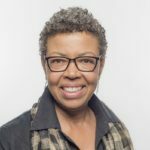 With over 25 years of experience in media, Andeen has the unique advantage of having developed her chops within several distinct agency models: big international (Saatchi & Saatchi), client-side (Bristol-Myers), independent (PHD), and full-service (Wasserman). Andeen is actively engaged in the advertising industry, including board positions with Numeris, Ad Standards, Worldwide Partners. She has guest lectured at Algonquin College, Capilano University and Kwantlen Polytechnic. She is a member of the Civic Affairs Committee of the Greater Vancouver Board of Trade and a member of the Regional Coordination Subcommittee. When she doesn’t have her nose to the grindstone at her agency, she indulges her other passions: quilting, ukulele and jazz. Bianca has over 12 years of integrated marketing, experiential, and event experience. She has a proven track record of developing and implementing corporate and nonprofit experiential and brand initiatives that deliver results. A sponsorship, experiential and event marketing specialist, Bianca has successfully developed and executed programs for clients including Clearly, Mercedes-Benz, BCLC, Wendy’s Restaurants of Canada, Bell Canada, The Gap, Nintendo of Canada and Government of British Columbia. Bianca has also worked with high profile events including Honda Celebration of Light, Squamish Valley Music Festival, FIFA U20 World Cup, and the Beijing 2008 and Vancouver 2010 Olympic Games. Place: The Vancouver Club, 915 W. Hastings St.